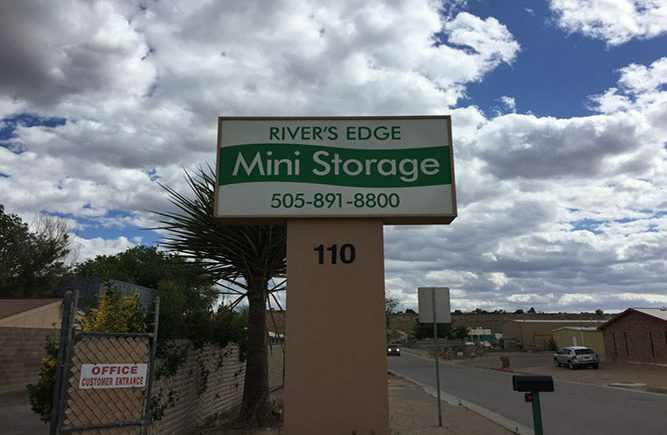 Welcome to River’s Edge Mini Storage, the Rio Rancho, NM storage solution you have been looking for! Our mini self storage facility offers clean, convenient and affordable self storage solutions for all local residents, businesses and visitors to Sandoval County and the Albuquerque Metro Area. 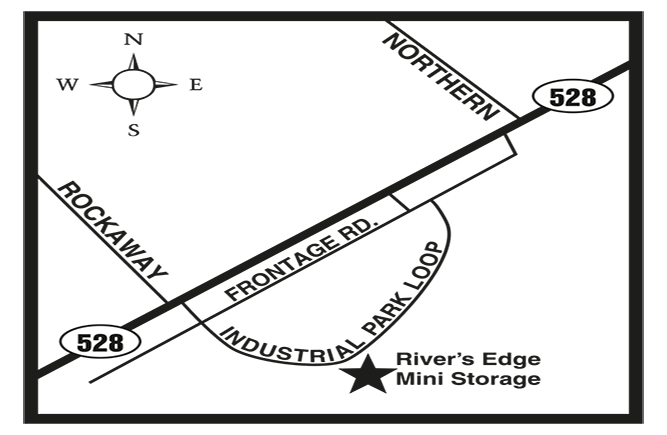 We are conveniently located along NM Hwy 528 on Industrial Park Loop, two miles west of I-25. Our property is right at the intersection of Northern Blvd NE and Pat D-Arco Hwy, near Rio Rancho Municipal Court. Whether you are looking for personal storage or business storage units, we have all you need to clear out and organize your home or office, or safely store your vehicle. 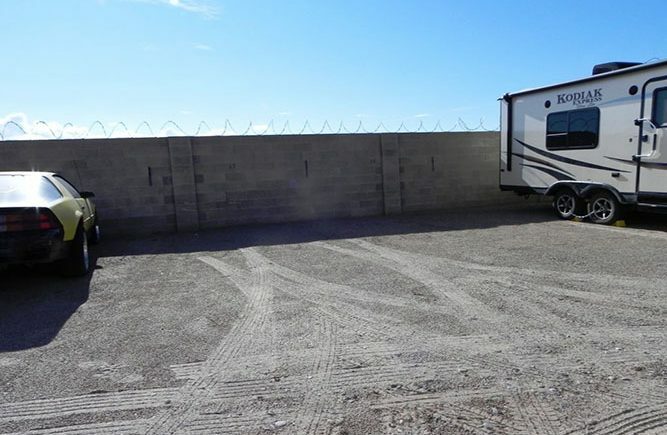 In addition to our wide range of convenient storage unit sizes, we also offer plenty of outdoor parking spaces for auto, boat and RV storage. 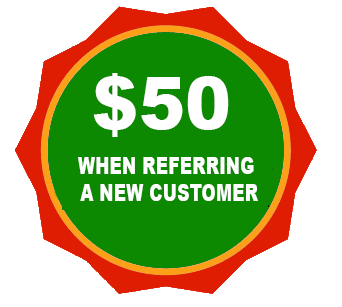 Our self storage rooms are offered at affordable storage prices. Our property features coded gate entry and recorded video surveillance to set your mind at ease and keep your belongings safe. Plus, our friendly and professional manager lives right onsite to help keep an eye on things. All of our storage rooms are located on the ground level, providing easy drive-up access. Moving in and unloading is a breeze! If you need boxes or other moving supplies, stop by our office during Monday through Saturday business hours. We sell a complete inventory onsite to prepare you for an easy move-in and storage with us. Use our convenient ClickandStor® 24/7 Move-In system to reserve and rent whenever you want. We offer flexible month-to-month leasing plans with no deposits required. 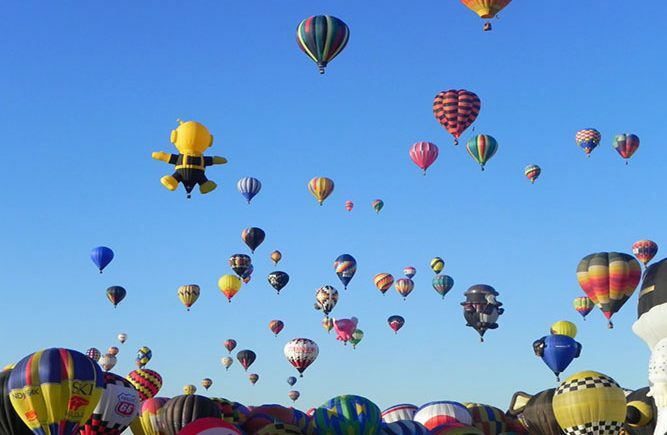 With a near perfect climate, attractive mountain landscape, and growing community, Rio Rancho is a fantastic place to live. 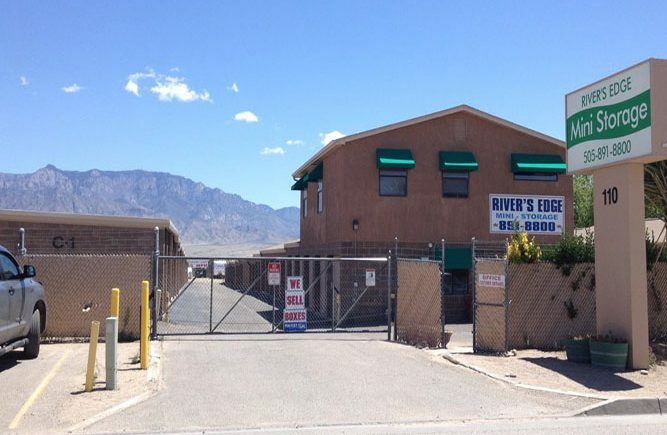 River’s Edge Storage facility offers competitive storage prices in Rio Rancho. 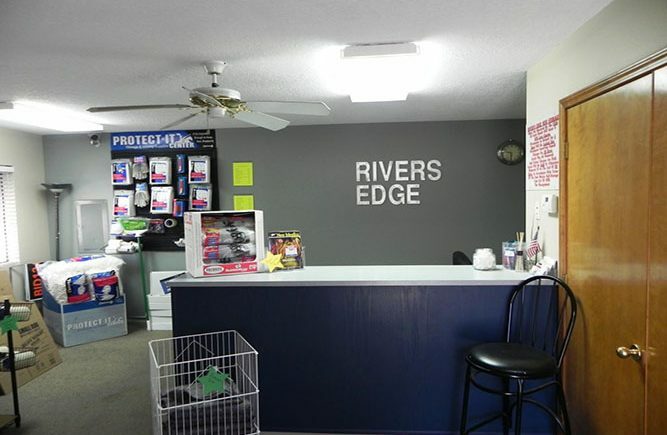 We are proud to offer the best storage units in town, and we look forward to meeting and storing with you here!